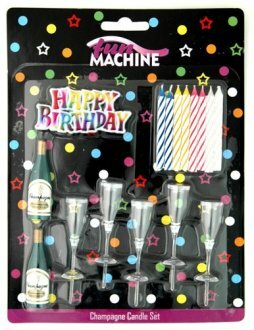 Fun Machine Champagne Glass Candles pack. This includes 5 champagne glasses, 8 candles, 2 champagne bottles and 1 Happy Birthday motto. 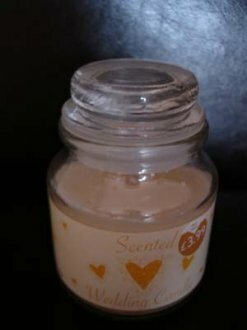 Scented wedding, candle in a jar RRP3.99. 12 blue candles and holders. 12 pink candles and holders. 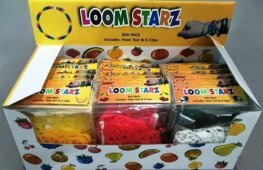 12 white candles and holders. 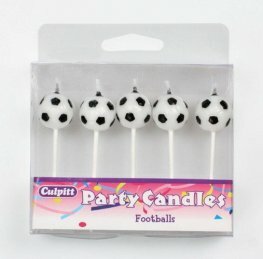 Footballs candles on picks 5 per pack. 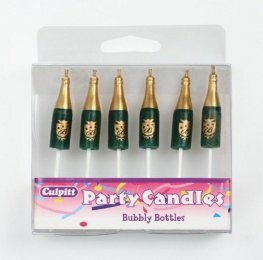 Champagne shape candles on picks 6 per pack. 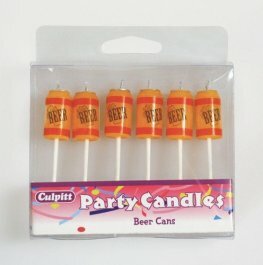 Beer can candles 6 per pack. 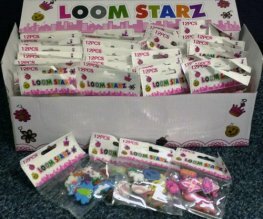 30mm each. 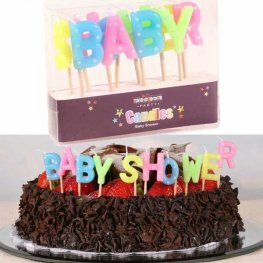 Baby Shower Multi Coloured Letter Candles. Each Letter Height Is Approx 2.5cm And 7cm High From Base Of Pick To Top Of Candle.